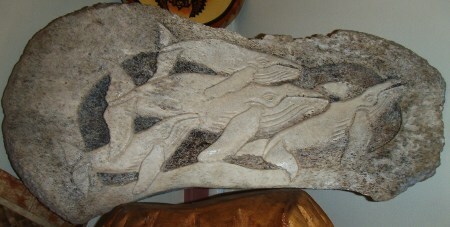 Eua handicrafts are known for there quality and durability. From the Kava bowl through to fine, and elaborate tapa cloths ‘Eua island Tonga has a hugh variety of different crafts to offer. Wood carvings were at one time an important part of Tongan culture not so much now days but they are still being made here on 'Eua island. Ha'atua handicraft shop on 'Eua island, has a wide varity of Tongan handicrafts in their family run and owned store and is a must see while you are staying on the island. 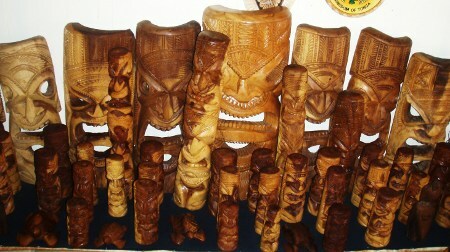 The Arts of 'Eua and Handicraft is located at the village of Ha'atu'a, 'Eua. It was started on the 5th of September, 2008, by the family of Kisione and Kalisi Pakalani with 9 children that own this business. The business was started by the whole family. The children and the parents do the arts and designs. They started this not just for a family source of Income but mainly for visiters to 'Eua island, alot of people stop by the beautiful island of 'Eua for a visit. For their return they really need souvenirs to remind them of the time they were here on 'Eua island Tonga, they needed gifts and souvenirs that were made in 'Eua. Tapa cloth is a very important part of Tongan culture and it doesn't sound right to label it as part of 'Eua handicraft because it is so important that the word handicraft just dosen't seem to do it justice. It is use for funerals, weddings, birthdays, all special occasions. Tapa cloth is made from the stem of the Mulberry tree that has been beaten into a sheet of Mulberry pulp. The beaten sheets of Mulberry pulp are then stuck together using an paste made of Tapioca, then painted and patterned with natural dyes and stenciled.